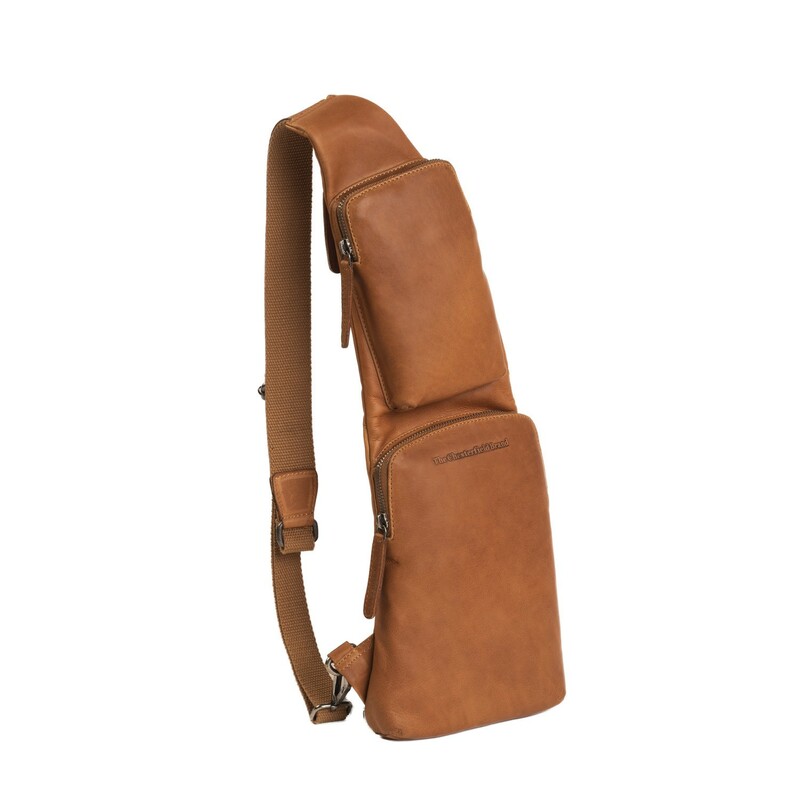 With this leather cross-body bag you are ready for a weekend away, festival or day out. All your belongings stored practically and always within reach. 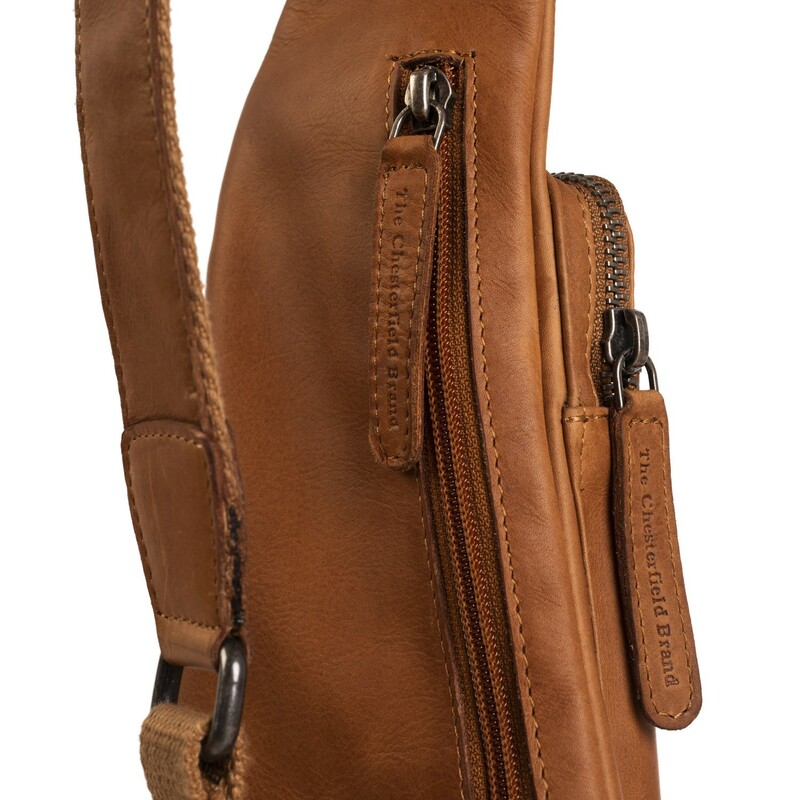 This leather cross-body bag has 2 zippered compartments on the front. The top compartment is spacious enough for your phone or wallet. 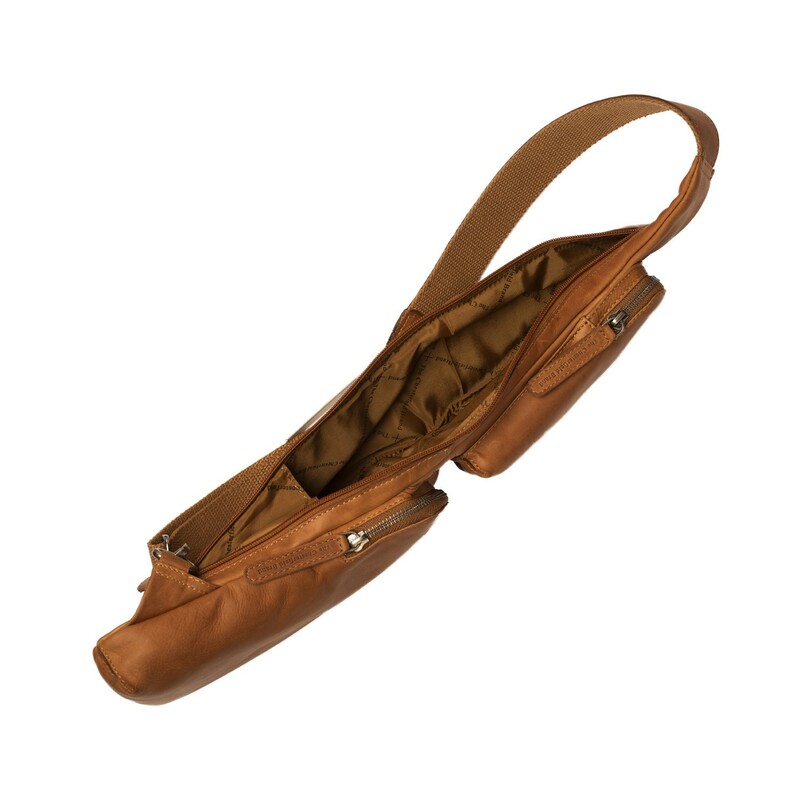 The lower zippered compartment is larger and suitable for storing papers (A5 format). 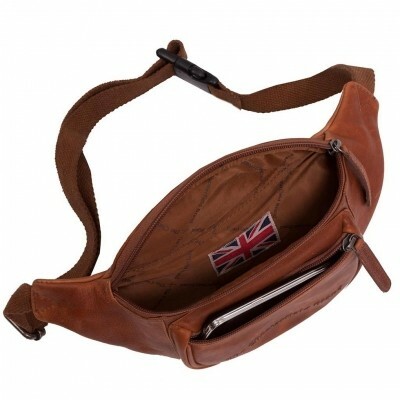 A zippered compartment has been placed over the entire length of the back side. 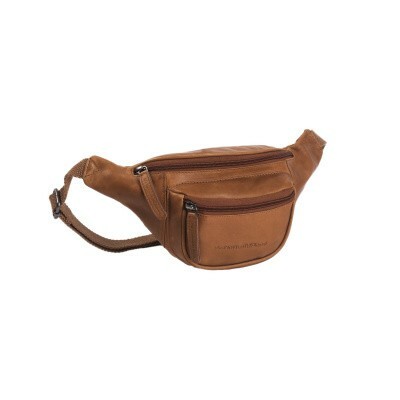 The shoulder strap is adjustable and equipped with a carabiner. 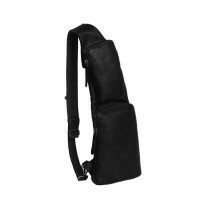 With this you easily unhook the shoulder strap at the bottom. 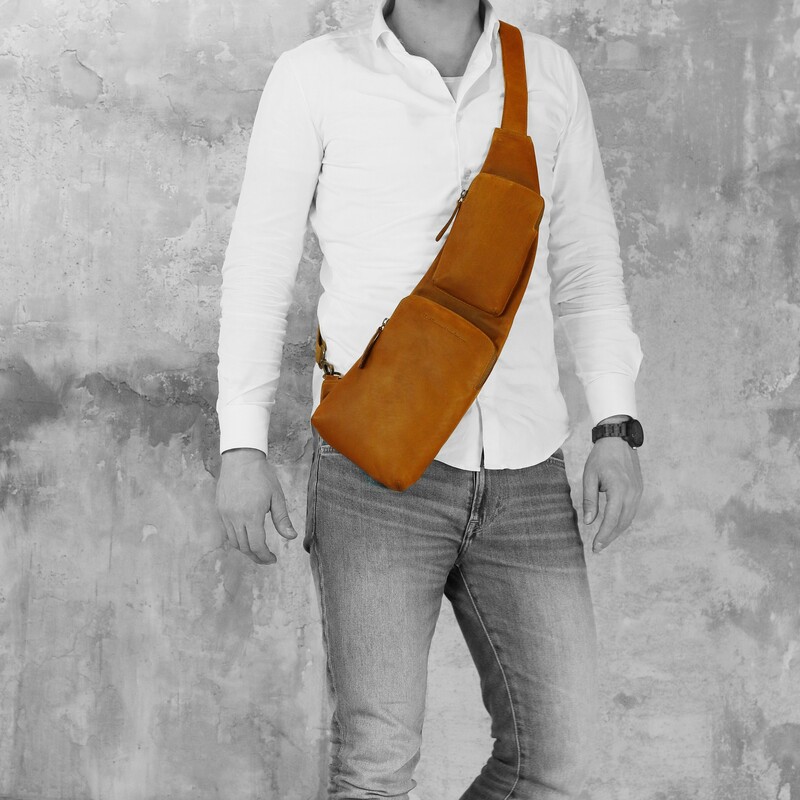 This leather cross-body bag is made from high-quality Wax Pull-up leather. This high-quality leather is characterized by a soft structure and smooth finish. 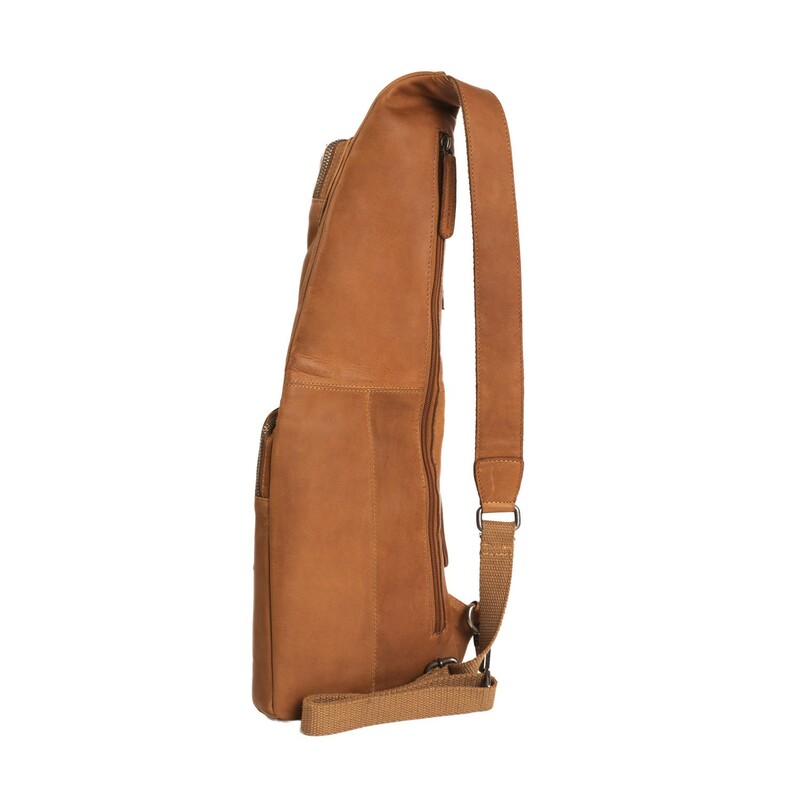 You can easily rub off any traces of use and with proper maintenance your leather bag will stay looking like new for years.